$ Price match guarantee We will match any competitors online price. T's & C's apply. Looking for alternative payment options? We will contact you within 48 business hours to confirm your enquiry. Custom order products may not be stocked by all stores. Want to speak to your local store? Versatile cooking is the best way to describe the Sunbeam HG3300 ReversaGrill BBQ grill. It has a ribbed plate for meat on one side and a flat plate on the reverse for eggs, pancakes and more! The reversible plate easily clicks in and out so you can change it as quick as you change your mind. With stores all over Australia we are proud that a large number of our deliveries are carried out by one of our very own Betta team members. However from time to time we will also engage a third party who is the most suitable and efficient option to ensure your delivery can be completed in a timely manner. This third party may vary depending on the location of the delivery within Australia. For more information on how we deliver, click here. 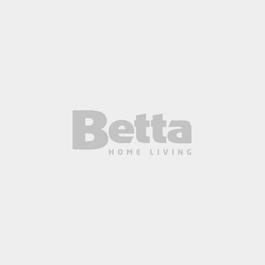 At Betta we have great payment options that will ensure that you can benefit from your new product straight away, without the stress of paying up front. Up to 60 Month Interest Free makes buying the products you desire easy. Interest Free options that provide you a choice of minimum monthly repayments, deferred repayment or both gives you great flexibility. Rent and Buy or rent and Keep...we have a variety of retail options to suit your needs. Start on product from just $250. Humm is the Buy Now Pay Later service everyone is talking about – because it’s interest free forever. You can buy ‘Little things’ and ‘Big things’ from $1 to $30,000 quickly and easily. Available at participating Betta stores. Rent from $13.85 a week! Rent from $5.15 a week! Rent from $5.90 a week!